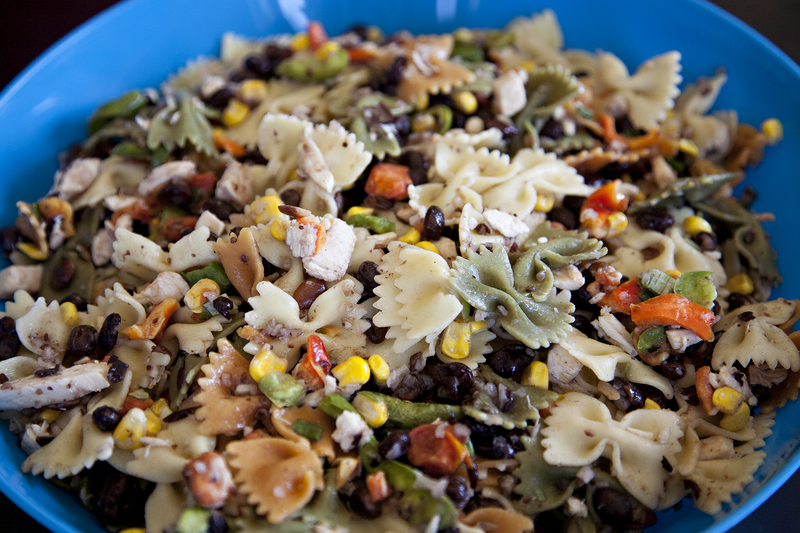 Summer would not be summer without really great pasta salads. Pasta salad is a barbecue favorite, a potluck staple, and a fantastic light dinner for a hot night. 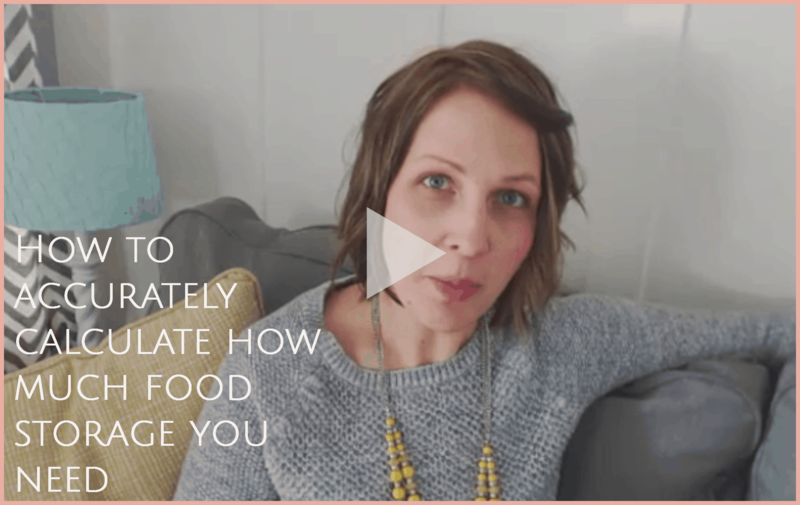 There are so many different variations and ways to make this simple dish your own! 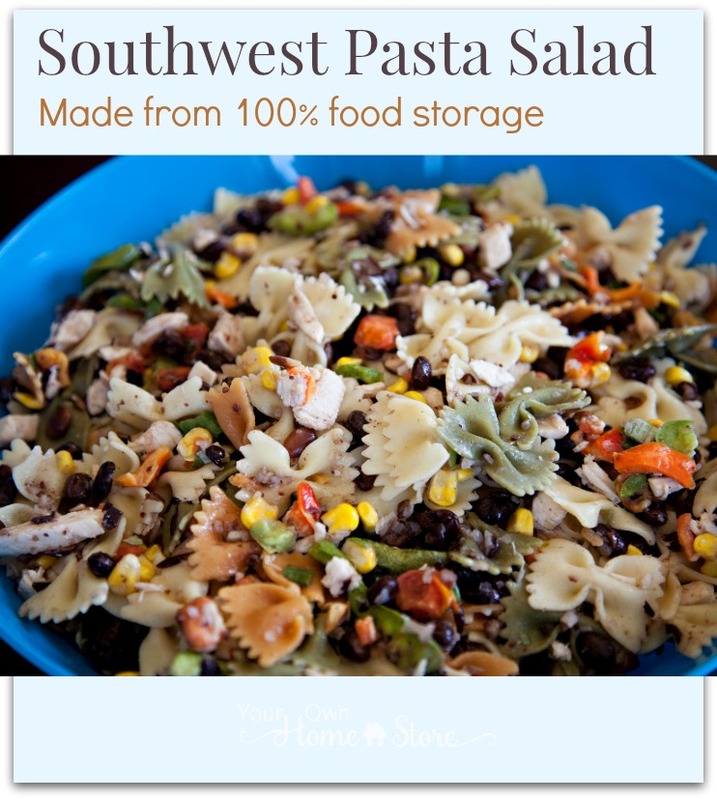 This particular recipe is a combination of Our Best Bites Southwest Pasta Salad from their recipe book Savoring the Seasons and my friend Chef Todd’s Southwestern Farfalle Pasta Salad. 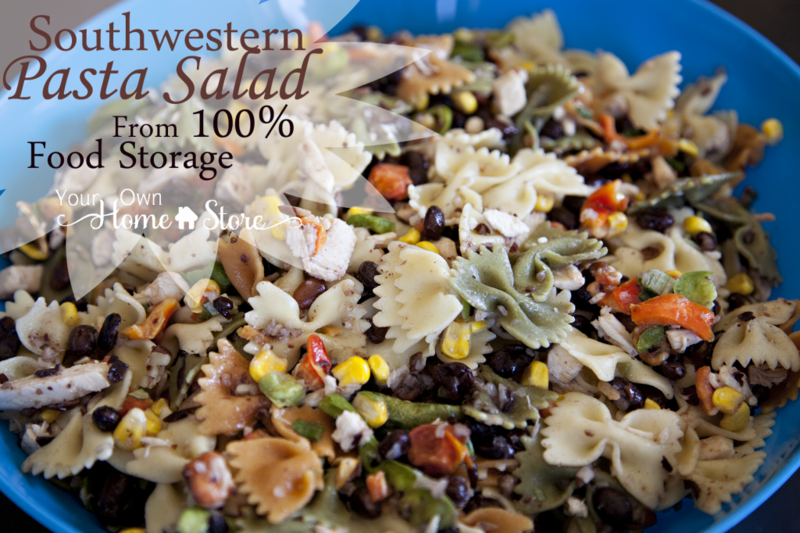 I added a few twists of my own and created a pasta salad that is made with 100% shelf stable items! I like to make the dressing first so it can sit for a bit and all the flavors can blend together before I pour it over the salad. So, let’s start there. Blend lemon (or lime) juice, vinegar, garlic powder, chili powder, cumin, coriander, salt, and sugar until smooth using a blender (I love my hand held immersion blender for things like this). Once smooth, turn blender down to slow, and then add the oil in a steady stream until well incorporated. Mix in cilantro by hand. 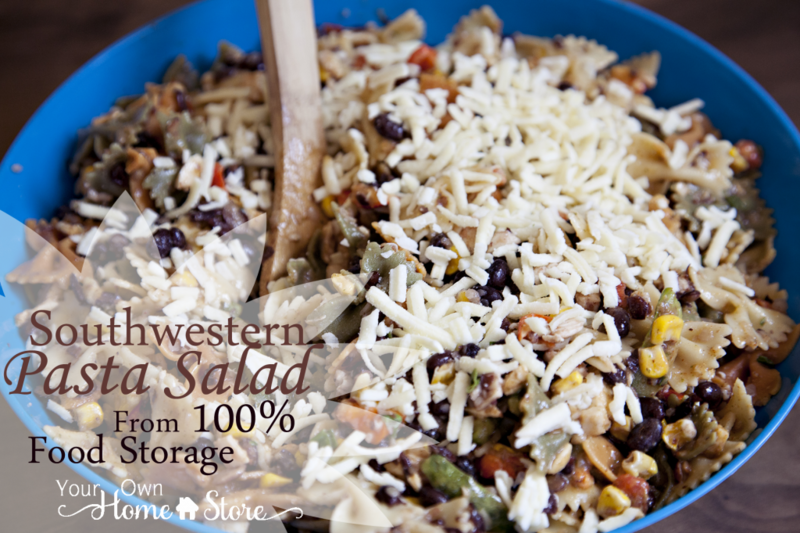 Let dressing sit while you get the pasta salad together. I like to do these first two steps in the morning so that things have time to cool before I put the salad together for lunch or dinner. 1. Cook 3 cups (dry) farfalle (bow tie) pasta according to package directions. Rinse well, and then put them in the fridge to cool. 2. Mix beans, onions, and two cups water. Bring to a boil, and then lower heat and simmer for about 12-15 minutes. Rinse well, and then put them in the fridge to cool. Don’t simmer them too long or you will end up with mushy beans! 3. Add 1/4 cup water to chicken. Mix well and let sit for 10 minutes or so, mixing at least a couple more times to evenly distribute the water. 4. 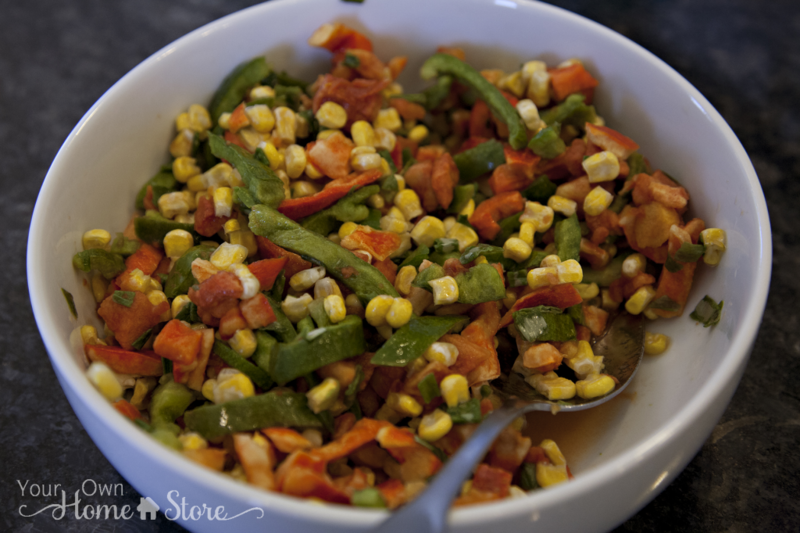 Add 1/3 cup water to green and red peppers, green onions, and corn. Mix well and let sit for five minutes or so, mixing at least a couple more times to evenly distribute the water. 5. Mix all (cooled) ingredients, including dressing, together. Add some freeze dried cheese monterey or cheddar (hydrated or leave it dry for a little crunch) to the top if you’d like. Cook 3 cups (dry) farfalle (bow tie) pasta according to package directions. Rinse and then put in fridge to cool. Mix beans, onions, and 2 cups water. Bring to a boil, and then lower heat and simmer for about 12-15 minutes. Don't simmer them too long, or you will end up with mushy beans! 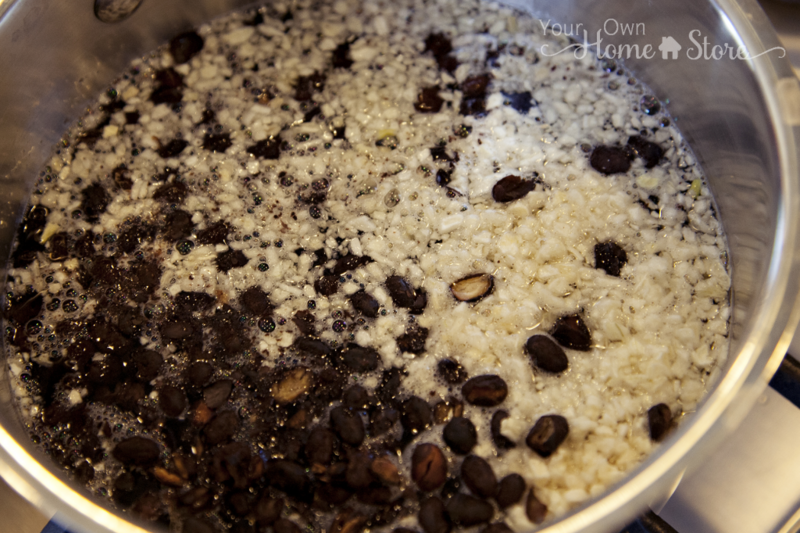 Rinse and drain beans, and then put in the fridge to cool. Blend lemon (or lime) juice, vinegar, garlic powder, chili powder, cumin, coriander, salt and sugar until smooth using a blender (I love my hand held immersion blender for things like this). Once smooth, turn blender down to slow, and then add the oil in a steady stream until well incorporated. Mix in cilantro by hand. Add ¼ cup water to chicken. Mix well and let sit for 10 minutes or so mixing at least a couple more times to evenly distribute the water. Add ⅓ cup water to peppers, green onions and corn. Mix well and let sit for five minutes or so mixing at least a couple more times to evenly distribute the water. Mix all (cooled) ingredients (including dressing) together. 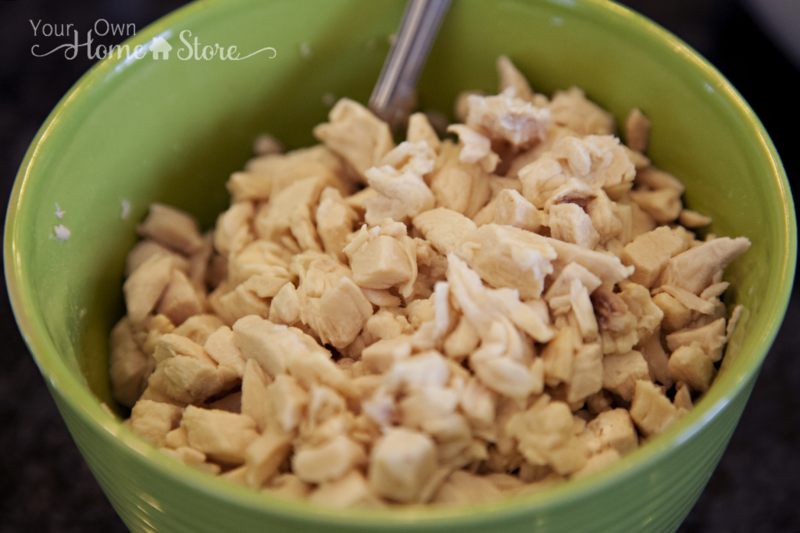 Add some freeze dried cheese (hydrated or leave it dry for a little crunch) to the top if you'd like. 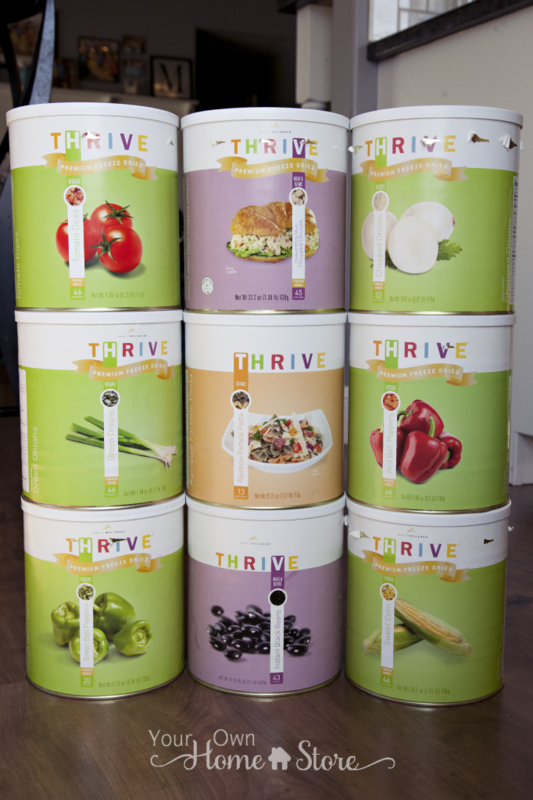 Want More Food Storage Recipes? 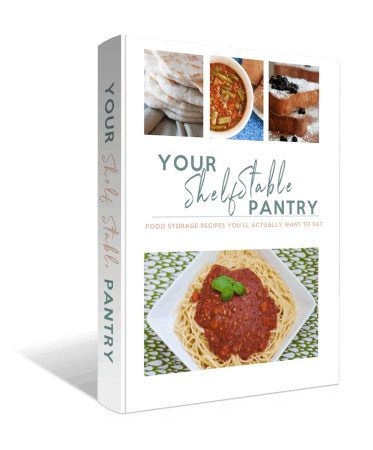 If you’d like more (family approved) 100% food storage recipes, I have a recipe book that you can find here or by clicking on the image below.